In the early 2000s, Stefano Schiaffino, a muscle physiologist at the University of Padova in Italy, was faced with puzzling results: two seemingly identical experiments involving hind leg muscles in rats had yielded different findings. 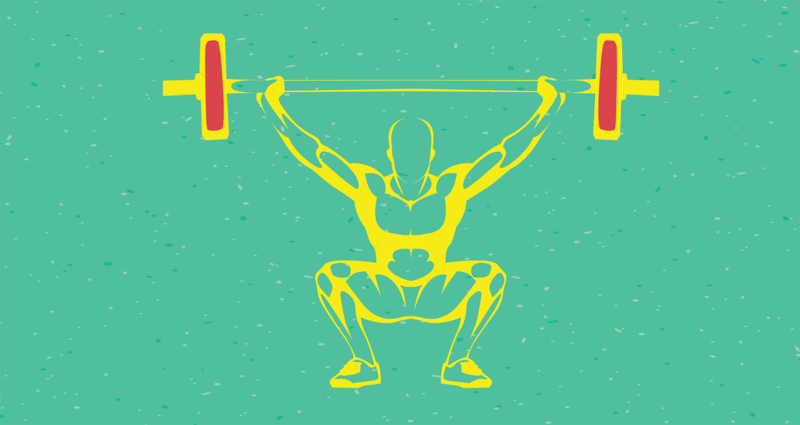 Schiaffino and his team were investigating nuclear factor of activated T cells (NFAT), a transcription factor that responds to the level of muscle activity. 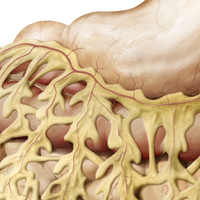 Despite using similar procedures, the researchers found that in the tissues from one set of animals, NFAT had moved from the cytoplasm into the nucleus in a large proportion of cells, while in tissues from another experiment, this change had not occurred. The explanation for this difference turned out to be simple: timing. The researcher responsible for one trial had sacrificed the nocturnal animals in the evening, while another had conducted the same procedure for the second trial in the morning. This meant that the first group of animals was more active at the time of measurement than the second. When the scientists repeated the second experiment late in the day, when the animals were more likely to be awake, they observed high levels of NFAT in the nuclei of the muscle cells, essentially replicating the first experiment. “At that time, I’d been working for many years on muscle, but had never thought about the circadian rhythms,” recalls Schiaffino, whose research now focuses on this aspect of muscle biology. I think there has evolved a fairly clear picture that the clock is segregating . . . aspects of metabolism to fit with the rest and activity cycles of the day. 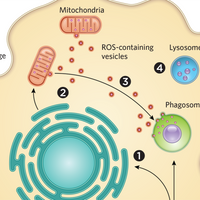 A growing body of evidence now points to these cyclical dynamics as mediators of metabolism. Disrupting them may have consequences for health, predisposing individuals to conditions such as diabetes. Research also indicates that these clocks may influence muscle strength and structure, and may even regulate neurological processes such as sleep. 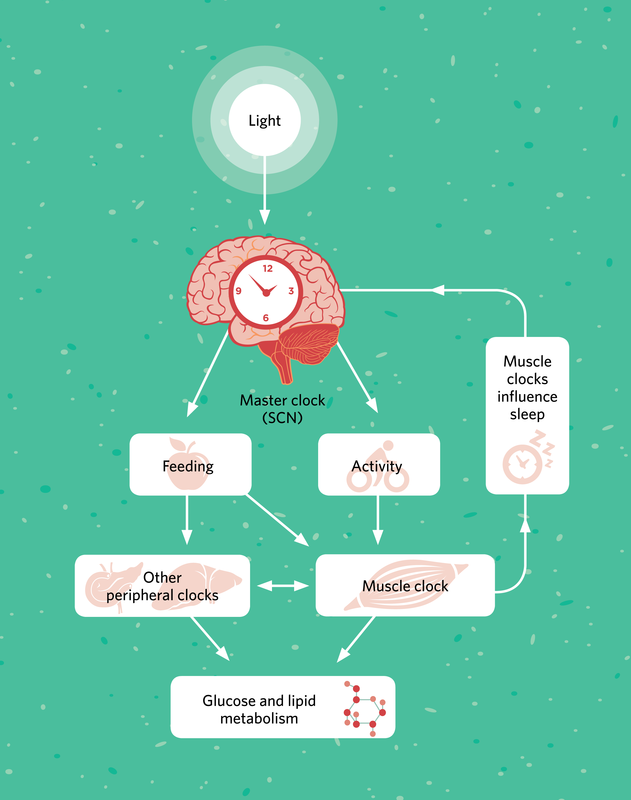 The study of circadian rhythms, the daily cycles that regulate tissue and cell function, was once focused primarily on the suprachiasmatic nucleus, the “master clock” in the brain. 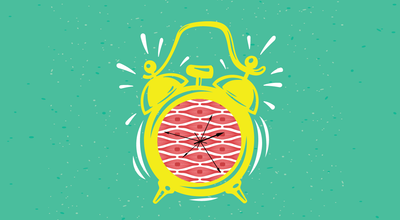 Beginning in the late 1990s, scientists began uncovering peripheral clocks—timekeepers located throughout the body—and in 2007, Esser, Takahashi, and their colleagues confirmed their presence in muscles. These findings implied that “the intrinsic muscle clock is an important controller of glucose metabolism,” Schiaffino says. This makes sense, he adds, because a muscle can become a “sponge for glucose” when insulin is released in a healthy animal—after a meal, for example. In fact, skeletal muscle is the body’s major glucose storage unit, responsible for around 70 percent of the body’s uptake of the sugar. Earlier this year, Charna Dibner of the University of Geneva and her colleagues reported similar outcomes in human muscle cells: disrupting the clock in vitro altered the expression of a number of genes, including those encoding proteins involved in glucose transport and lipid metabolism, and impaired the muscle cells’ ability to take up glucose in response to insulin.5 “It was very consistent with what we see in the mouse, suggesting a very conserved function for the muscle clock,” Esser says. “I think there has evolved a fairly clear picture that the clock is segregating . . . aspects of metabolism to fit with the rest and activity cycles of the day,” says Esser. 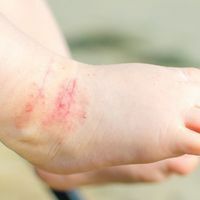 Those who have flown overseas or from one North American coast to another will likely understand what it feels like when the body’s rhythms are out of sync. Traveling long distances across multiple time zones throws off the usual clock-setting cues, or zeitgebers, such as the daily light-dark cycle. 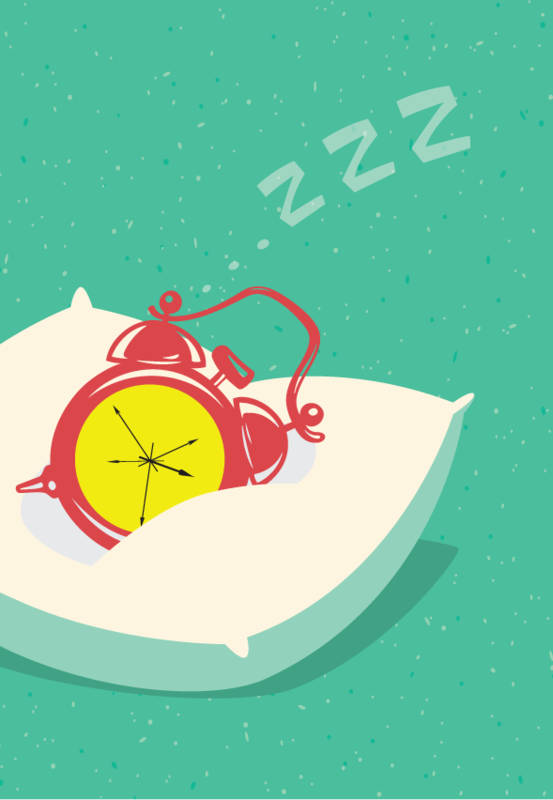 Jet lag can cause a variety of temporary symptoms, including dizziness, irritability, and indigestion. Muscle clocks can also influence rodents’ slumber. Neuroscientist Ketema Paul of the University of California, Los Angeles, and his colleagues revealed that removing Bmal1 from the muscles of mice increased the amount of time the rodents spent in non-REM sleep.12 Moreover, the researchers found that, while knocking out this gene in the brain or muscles impaired the rodents’ ability to regain normal sleep patterns after six hours of forced wakefulness, increasing Bmal1 expression in muscle made them better at bouncing back after sleep deprivation. In addition to providing a better understanding of the mechanisms that mediate sleep homeostasis, Paul says, these findings hint at potential treatments that target nonbrain tissues for sleep disorders or improve recovery after sleep loss. Many questions remain about the way muscle keeps time, such as how external signals are incorporated. Studies, primarily in rodents, suggest that feeding and exercise may serve as primary environmental cues. Oxygen levels may also play a role. A recent study by Bass and his colleagues at Northwestern University revealed that muscle clocks interact with the hypoxia-inducible factor (HIF) pathway, which responds to the availability of oxygen.13 When the muscles are rapidly depleted of oxygen—during exercise, for example—HIF helps the body transition from metabolizing glucose through mitochondrial respiration, an aerobic process, to anaerobic glycolysis, which takes place in the cytoplasm and produces lactic acid. How the muscle clocks interact with other peripheral clocks also remains an open question. The muscles do not act alone. With metabolism, for example, researchers have found that other peripheral timekeepers, such as those in the liver, pancreas, and adipose tissue, also play a part. 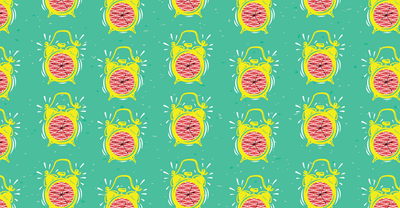 Studies by Dibner’s group14 and others15 have shown that the clocks cycling within the pancreas’ islet cells are crucial for maintaining proper insulin secretion. If we succeed in showing that the muscle clock is involved in this passage from insulin-sensitive to insulin-resistant muscle, then we can imagine ther­apeutic directions, like using clock modulators. B.H. 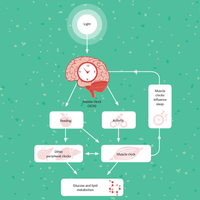 Miller et al., “Circadian and CLOCK-controlled regulation of the mouse transcriptome and cell proliferation,” PNAS, 104:3342–47, 2007. J.J. McCarthy et al., “Identification of the circadian transcriptome in adult mouse skeletal muscle,” Physiol Genomics, 31:86–95, 2007. K.A. 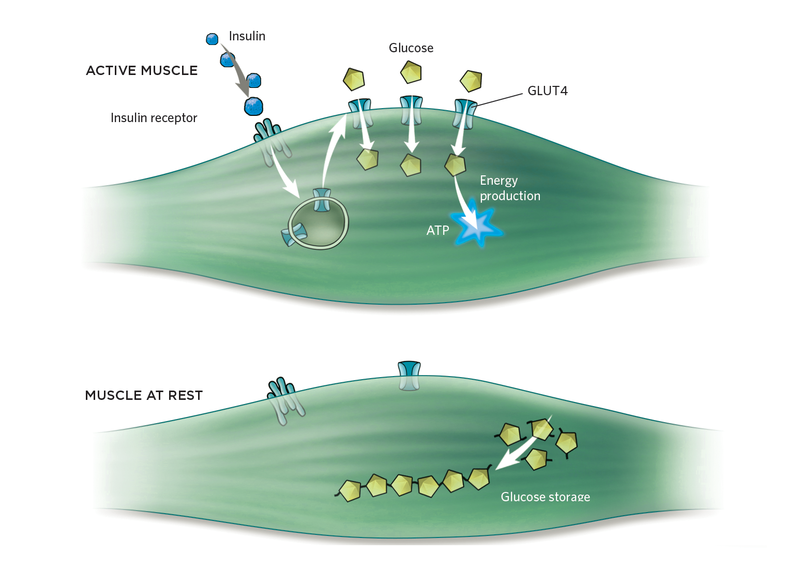 Dyar et al., “Muscle insulin sensitivity and glucose metabolism are controlled by the intrinsic muscle clock,“ Mol Metab, 3:29–41, 2014. B.A. Hodge et al, “The endogenous molecular clock orchestrates the temporal separation of substrate metabolism in skeletal muscle,” Skeletal Muscle, 5:17, 2015. L. Perrin et al., “Transcriptomic analyses reveal rhythmic and CLOCK-driven pathways in human skeletal muscle,” eLife, 7:e34114, 2018. K.A. Dyar et al., “Transcriptional programming of lipid and amino acid metabolism by the skeletal muscle circadian clock,” PLOS Biol, doi:10.1371/journal.pbio.2005886, 2018. F.W. Turek et al., “Obesity and metabolic syndrome in circadian clock mutant mice,” Science, 308:1043–45, 2005. B. Marcheva et al., “Disruption of the clock components CLOCK and BMAL1 leads to hypoinsulinaemia and diabetes,” Nature, 466:627:31, 2010. C. Vetter et al., “Night shift work, genetic risk, and type 2 diabetes in the UK Biobank,” Diabetes Care, 41:dc171933, 2018. S. Fun et al., “Meta-analysis on shift work and risks of specific obesity types,” Obes Rev, 19:28–40, 2018. E.A. Schroder et al., “Intrinsic muscle clock is necessary for musculoskeletal health,” J Physiol, 593:5387–404, 2015. C.B. Peek et al., “Circadian clock interaction with HIF1α mediates oxygenic metabolism and anaerobic glycolysis in skeletal muscle,” Cell Metab, 25:86–92, 2017. C. Saini et al., “A functional circadian clock is required for proper insulin secretion by human pancreatic islet cells,” Diabetes Obes Metab, 18:355–65, 2016. M. Perelis et al., “Pancreatic cell enhancers regulate rhythmic transcription of genes controlling insulin secretion,” Science, 350:aac4250, 2015. Correction (September 10): The original version of this post contained the wrong subhead. The Scientist regrets the error.